There are now over 130,000 websites protected with EV certificates. EV is growing at a rate of 20% year over year. 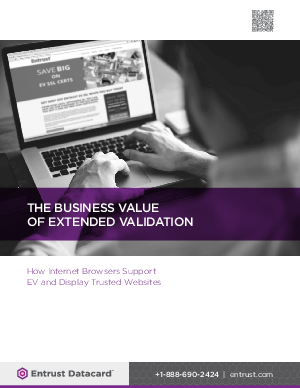 While some may think this growth is small and the number of websites employing EV certificates consists of a very small portion of the Internet, the year over year growth is increasing and indicates a change in mindset as several of the most frequently visited and globally trusted brands. EV certificates are an effort to define a standard for a high assurance SSL/TLS certificate that mitigates attacks and increases secure transactions. This paper discusses how browsers support EV certificates and display trusted websites.